Entry doors are purchases that warrant careful consideration. 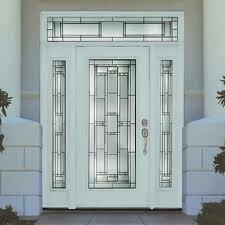 The front door of your home offers protection, and makes a statement about your style to guests. If you want to ensure you receive a front door of exceptional quality for your home in Omaha, Nebraska, turn to Elite Exteriors. Our selection of exterior doors can’t be beat by other contractors in town, because the doors we offer are tailored to your exact preferences. You’ll also be able to select from a range of glass options, grids, hardware, and side lights to create the perfect front door to complement your home’s style and boost its curb appeal. If you can dream it, it can be built. In addition to receiving an entry door engineered according to your exact specifications, choosing Elite Exteriors to supply your new front door comes with several other advantages. We’ll provide expert installation from licensed contractors to ensure a perfect fit, and you can rest easy knowing your investment is protected, because our entry doors come with full manufacturer warranties. If you’d like to receive more information regarding our custom entry doors, contact Elite Exteriors to schedule a free in-home consultation. Or, stop by our Omaha, NE, showroom to view our door products, which also include sliding glass doors and storm doors. Let Us Help With Your Next Door Project!